The Miracle Centre in Phola Park is growing by the day and Pastor Sifiso Ntumba would like to thank the community of Mkhondo for their generous donations towards the centre’s success! 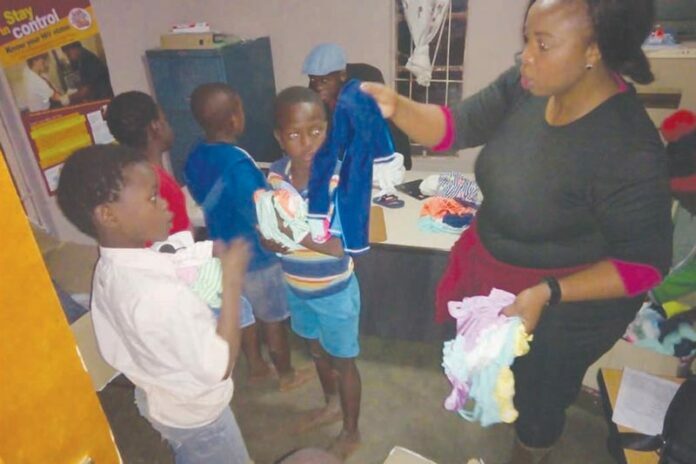 Recently, Woolworths sponsored winter clothing to the children in need and various children from the rural villages within Phola Park benefited from this initiative towards the Miracle Centre – thank you! Furthermore, the soup kitchen has been running for more than three years now and is stronger than ever. The Miracle Centre recently received a subsidy for food from the Department of Social Development, which helps to feed the children and provide them with breakfast as well as dinner. This is, in most cases, the only meals these children receive and they appreciate it so much. Thank you to Thembi Thabethe for all your help in arranging the subsidy! Currently, Pastor Ntumba is planning on helping children with a study centre where they can do their homework daily. If anyone has a mobile container that can be converted into a study hall, or if you want to assist in helping to erect a building to accommodate these children, please contact him on 078 633 3189.